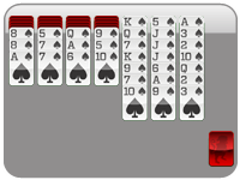 Scorpion Solitaire.net brings you the best of all three versions of Scorpion Solitaire one hundred percent free with no download required! If you thought Spider Solitaire packed a mean bite, wait til you feel the sting of the Scorpion Solitaire card games. 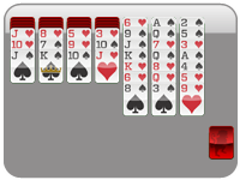 Arrange the cards in columns of descending order, from King to Ace. 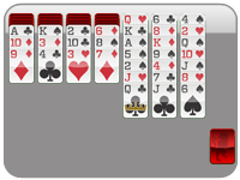 Move any cards in the column, so long as the first card grabbed is face up. Then place this card/column of cards onto another column where the bottom card is the same suit and one denomination higher than the first one you grabbed. Prove to the world that you are the true scorpion trainer by mastering this scorpion solitaire card game site! Play online, all the time, with no download!